​It is our pleasure to teach your children this year! ​Third Grade will be participating in a partnership with the Joyce Dance Company starting in February lasting through May. WORLD HERITAGE DAY IS FRIDAY, APRIL 12! BRING SHOW AND TELL ITEMS. Spring Break is from April 19th through April 26th, returning to school on Monday, April 29th. Please wear the color that your class in assigned. Wear sneakers, sunglasses, and hats. Bring towels to sit on. ​Bring lunch and water bottles. Homework is given every day. Please look in your child's agenda for the assignments. Also, please initial once the hw is completed. If your child is missing any assignments, the missing assignment will be written on the monthly calendar in the front of the agenda. Students are responsible for making up the work and showing their teacher. We are finding the area and perimeter of 2D figures and geometry. Please teach your children about everyday uses for these two topics. For example, tiling, buying carpets, and measuring frames and borders. "Getting Ready for 4th Grade" materials. Students should be reading at a level N independently and be able to answer basic comprehension questions, CER (Claim Evidence, Reasoning-with one piece of text evidence). Students must be able to form an idea about a character and be able to support their idea with evidence from the text. Students must be able to form an opinion about a character and support that opinion with evidence from the text. Students must log their independent reading in their Reading Logs daily. Students must be able to score 65% or higher on reading comprehension tests. 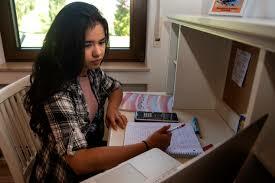 Students must be able to write a five sentence paragraph with a main idea (topic) sentence, three detailed sentences and a closing sentence that summarizes the main idea. Students must include capital letters for beginning sentences and proper nouns and use proper punctuation. Paragraphs must begin with an indent. Students must know all sight words up to third grade level. Students must be able to write a personal narrative, using three paragraphs to show beginning middle and end. Students must be able to add and subtract basic facts mentally without manipulatives. Students must do column addition/subtraction with regrouping. Students must tell time to the minute. Students must round numbers to the nearest ten and hundred. Students must be able to read and write a number up to the thousands place. Students should begin memorizing times tables 0-5 and 10 and be able to draw arrays. Students must be able to read and interpret data using graphs and tables. Students must be able to score a 65% or higher on all math assessments. Students must be able to complete the morning routine in 15 minutes. Students must be prepared with materials such as sharpened pencils, correct books and previous night's homework. Homework must be monitored by an adult, but completed by a child. Students must be responsible for packing and unpacking their backpacks at school and at home. Students must be able to follow three step instructions, orally. Students must complete assignments and daily tasks in a timely manner. Students must be focused and ask questions at appropriate times.